ZenFone is best selling series of Asus Co. With Laser Focus Asus instigate Budget Smartphone Zenfone 2 Laser having features like Snapdragon 615/Snapdragon 410 processor, 5.5 inches display, 13/5 MP camera, 4G support, 16 GB ROM 128 Expendable Memory, 2 GB RAM, Corning Gorilla Glass 4 and 3000 mAh battery. Here we will have Short review, Pros and Cons of Asus Zenfone 2 Laser. 3.5 mm edges having concentric circles Zenfone iconic design looks premium the plastic compact built fits deftly in hands after being 5.5’ in size. The volume rockers are just below the rear camera for some people its fine but some feels twitchy. Micro-USB port located in bottom and power button + 3.5mm port are at the top of the device. Snapdragon 410 Quad-core processor with 1.2 GHz clock speed is an older version of chipset along with 2 GB RAM; is pretty good configuration for a 10K smartphone. v5.0 (Lollipop) having Asus own UI which facilitates many customization that gives ease in accessing many features. We felt slight lag while jumping from one app to another. We count its total performance and sum up in one line- the phone works well in its budget. 5.5 inches IPS LCD capacitive display with 720 x 1280 pixels and 267ppi display density is not so sharp even in highest brightness. We are expecting 1080p Full HD display in this 5.5 inches phone. We are not so happy with its sunlight visibility but it can’t be an issue for most of the users. 13 MP camera has Laser focus (Laser is used to quickly focus on object company says it focus within 0.3 sec with the help of laser) that is signature feature of this device. company claims it has PixelMaster backlight (Super HDR) mode automatically captures multiple shots of the scene and choose best for the user. The laser focus is advantageous for capturing nearby photographs because for distant photographs it does not work. Lets come to main concern i.e. quality of photographs by rear camera- main camera captures photos not so sharp they appears washed out but no grainy effect is noticeable in sufficient luminosity means you will get pretty well photos but camera really struggle in poor light. 3000 mAh battery works quite well that runs for the more than 24 hours while playing Games and streaming videos over Wi-Fi; it heats up and that time battery drains faster. ZenFone 2 Laser’s laser beam measures distances at lightning speed. Display is protected with Gorilla Glass 4. Lots of unwanted pre installed apps. No headphones included with handset. Hybrid SIM slot (Slot 2 can be used either as SIM 2 slot or memory card). 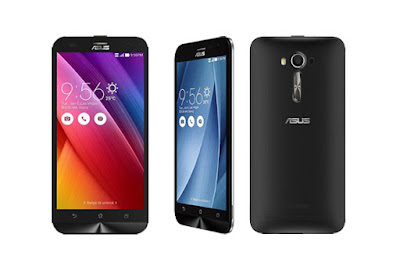 Asus under its Zenfone series always adds very competitive features in affordable price. Zenfone 2 Laser is upgraded version of Zenfone 2; the phone has better camera (not best), better UI, decent battery backup and a premium look that is carved to fit in hand properly. The main iconic feature is its camera which is quite good according to its price range. For better camera you can choose Samsung J7.